The only thing better than visiting a waterpark is visiting a waterpark after-hours for a huge party featuring laser and fire shows as well as DJs and “chillaxing” zones. 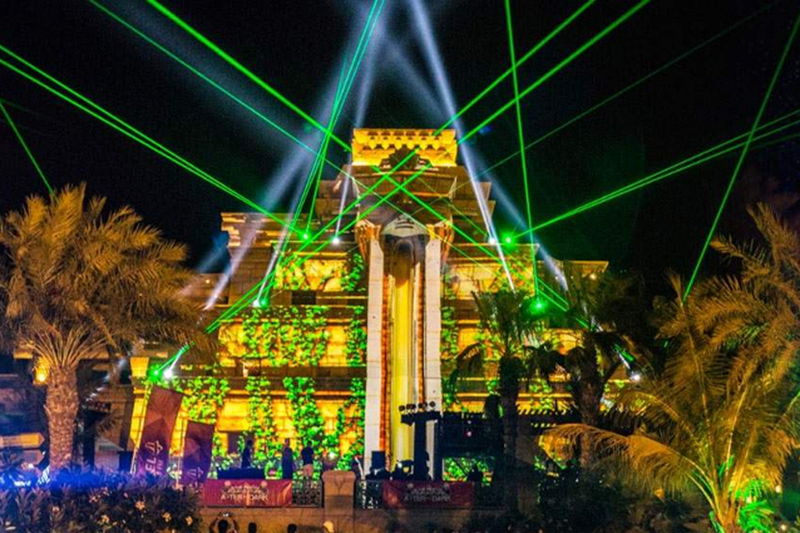 Aquaventure After Dark at Atlantis The Palm is back for another year on Friday April 26 and it’s going to be a big one. From 8pm to midnight, thrillseekers can try out dozens of the waterpark’s rides by moonlight – including The Leap of Faith, Shark Attack and Poseidon’s Revenge. Early bird tickets start at Dhs119, going up to Dhs149 online at atlantisthepalm.com, while tickets at the gate will cost guests Dhs175. In addition to all the rides, there will be fire and laser shows to “entertain and amaze in equal measures”, while DJs Shef Codes and Keza will be spinning out beats throughout the night. To stave off that evening hunger, the waterpark is offering a range of foodie favourites throughout the venue including Arabic mezze, freshly baked pizzas, shawarma, falafel, dosas, fish & chips and grilled meats from the barbecue. If you’re not that much of a thrillseeker, then just kick back on the lazy river to the sounds of the pumping music. What a way to end a week. While the recommended age for Aquaventure After Dark is 15, guests aged 14 and below can attend if accompanied by an adult aged over 21. Aquaventure After Dark first launched back in April, when it reeled in more than 3,500 thrill-seekers. Aquaventure is one of Dubai’s most thrilling waterparks. In 2013 it got even better when it opened four more thrilling slides – each wrapped around the new Tower of Poseidon pyramid – … see more..